Cherry blossom season is rapidly approaching and it will soon be time for hanami (cherry blossom viewing) across the country. 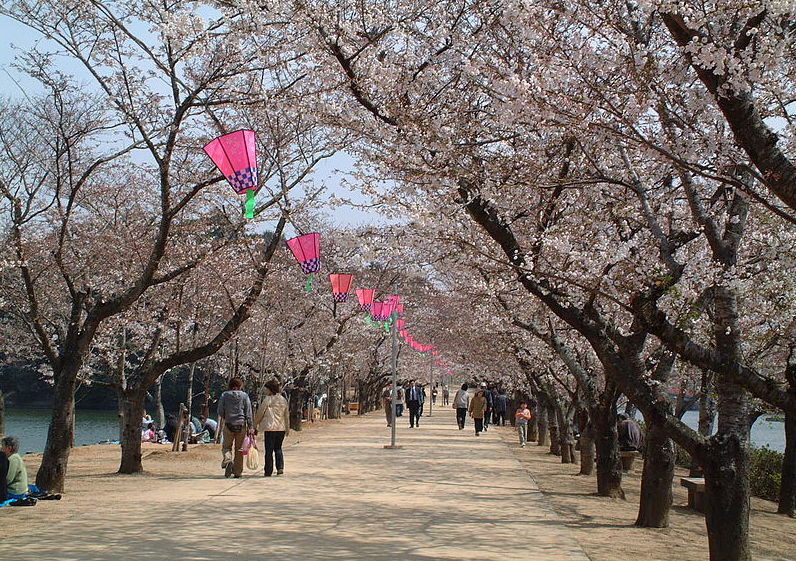 Hanami is a tradition that is hundreds of years old and is enormously popular to this day. 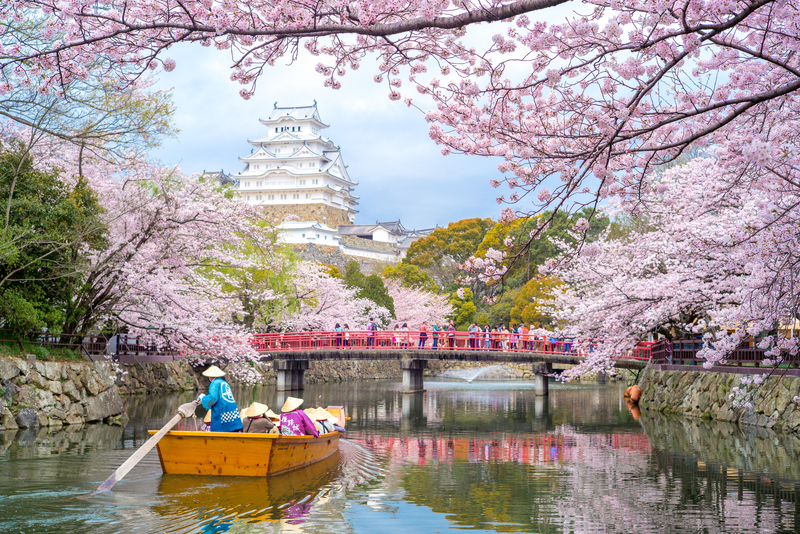 Here are 20 spots The Japan Times recommends for viewing sakura (cherry blossoms) across Japan in 2019, starting in Hokkaido in the far north of the country, and moving through Honshu and onward to Kyushu in the south. We’ve provided the forecasted blossoming times for each spot, but for more detailed and up-to-date predictions, visit the map on the Tenki Navigator website. Goryokaku Park is iconic not only for its unusual star shape, but also for the 1,600 cherry trees that bloom during spring. 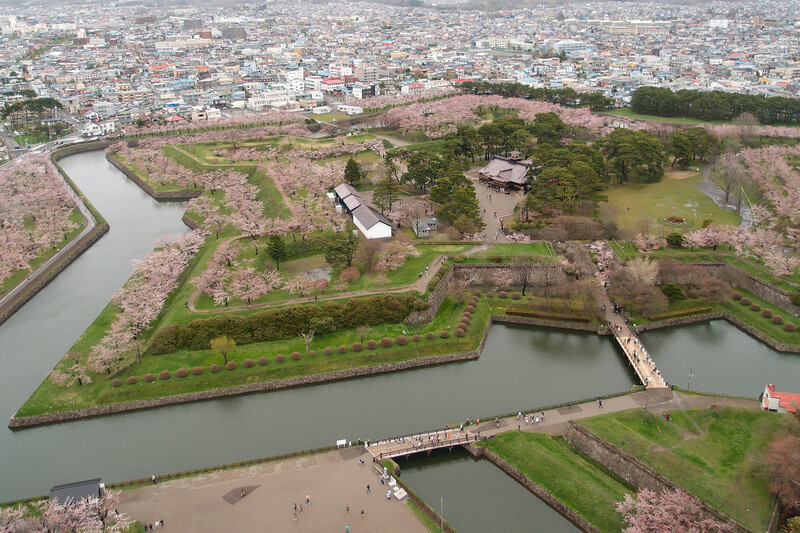 Visitors can rent a boat and row the moat surrounding the park to see the cherry blossoms from below. Hirosaki Park in Aomori Prefecture has 2,600 cherry trees, comprised of 50 different varieties. The park is located among the ruins of Hirosaki Castle and is illuminated at night. 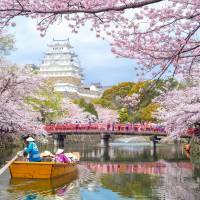 Hirosaki Park has been proclaimed by many as one of the top three spots for hanami in Japan. Tenshochi Park is home to around 10,000 cherry trees and is best enjoyed in late spring. 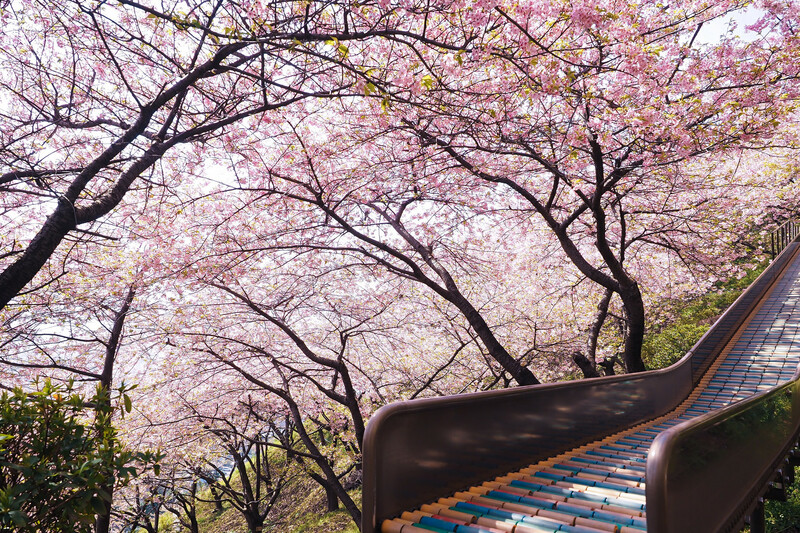 The park is renowned for its long cherry tree tunnels and has been selected as one of the Sakura Meisho Hyakusen, Japan’s top 100 cherry blossom viewing sites. Tsutsujigaoka Park has 360 cherry trees and is listed in Nihon Toshi Koen Hyakusen as one of the hundred most popular urban-area parks in Japan. The park becomes crowded at night when it is lit by chōchin lanterns and street stalls are set up for visitors. 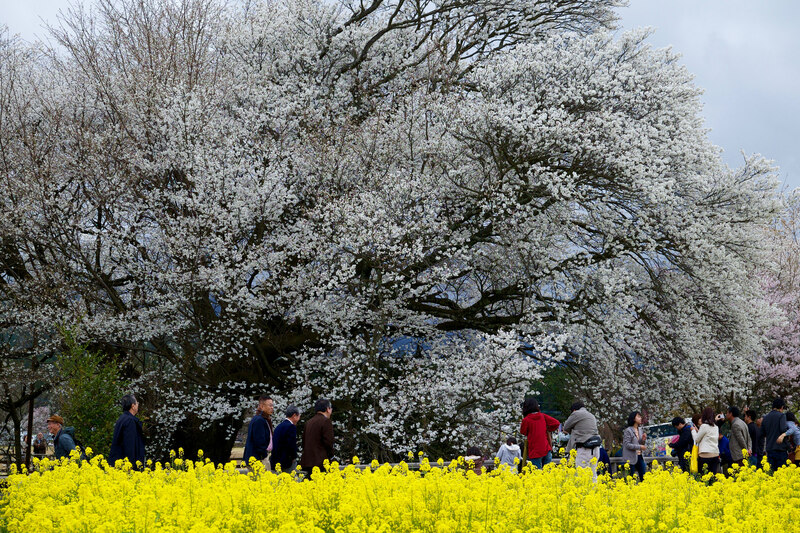 Hanamiyama Park in Fukushima Prefecture is known as a gathering place for flower and tree farmers, and flowers of one variety or another are in bloom there year round. 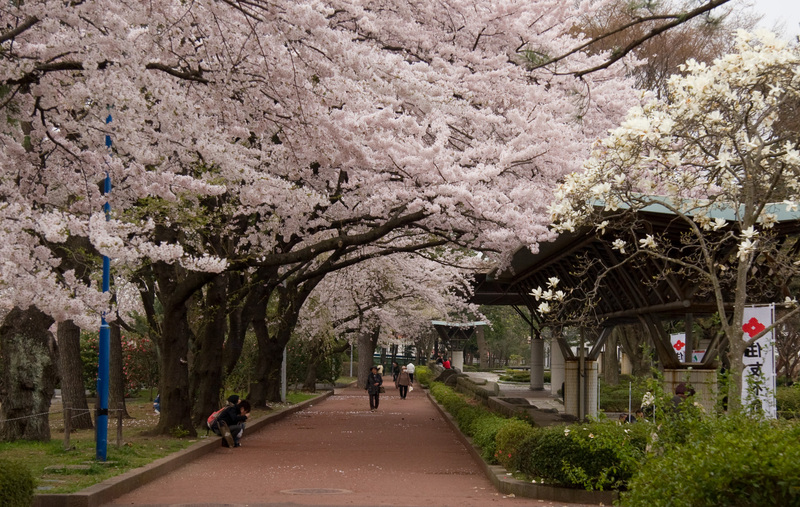 The park has hundreds cherry trees and it is one of the most popular sakura spots in the prefecture. 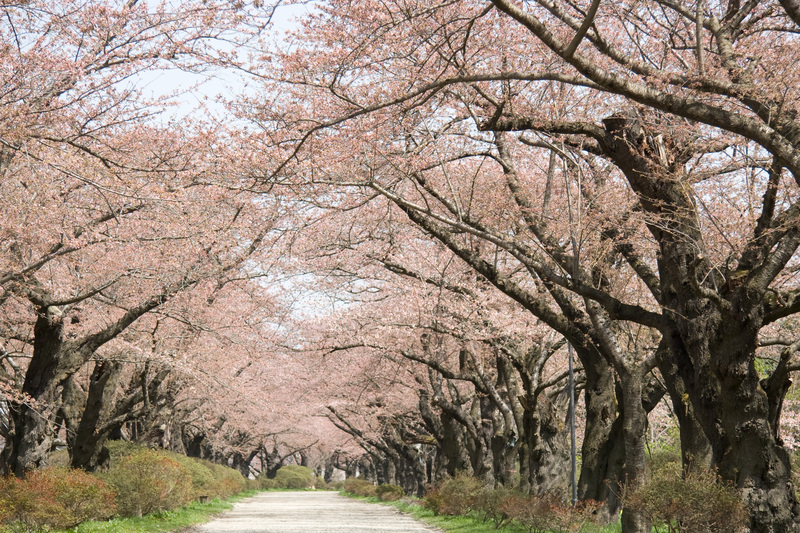 This Fukushima Prefecture park is well known for its cherry blossoms. 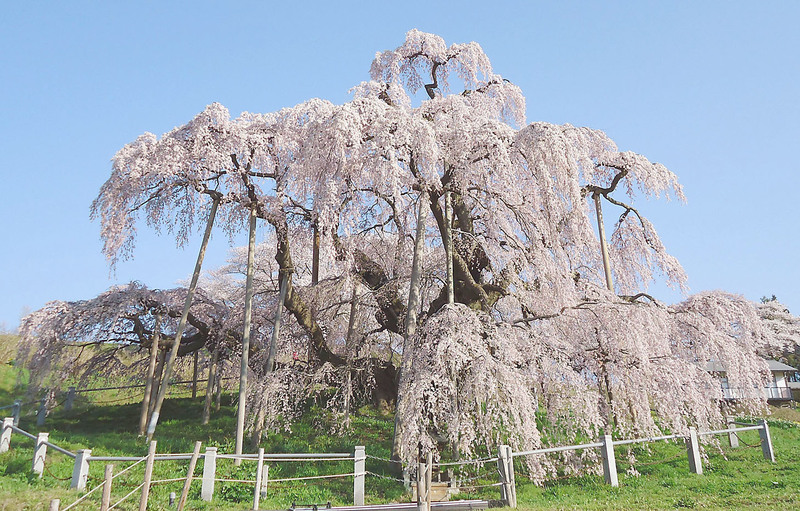 It is home to Miharu Takizakura, which translates to “waterfall cherry tree.” This large weeping sakura tree is one of the most famous in Japan. 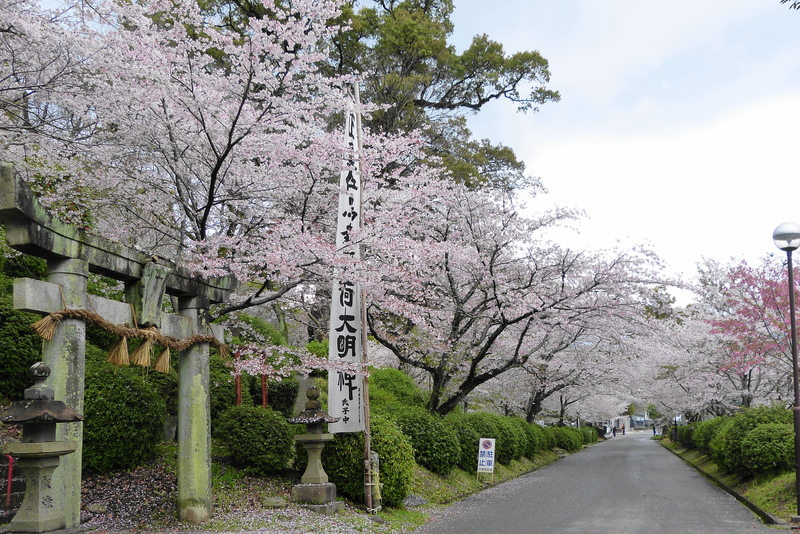 Garyu Park is listed in the Sakura Meisho Hyakusen as one of the hundred best places to see cherry blossoms in Japan. 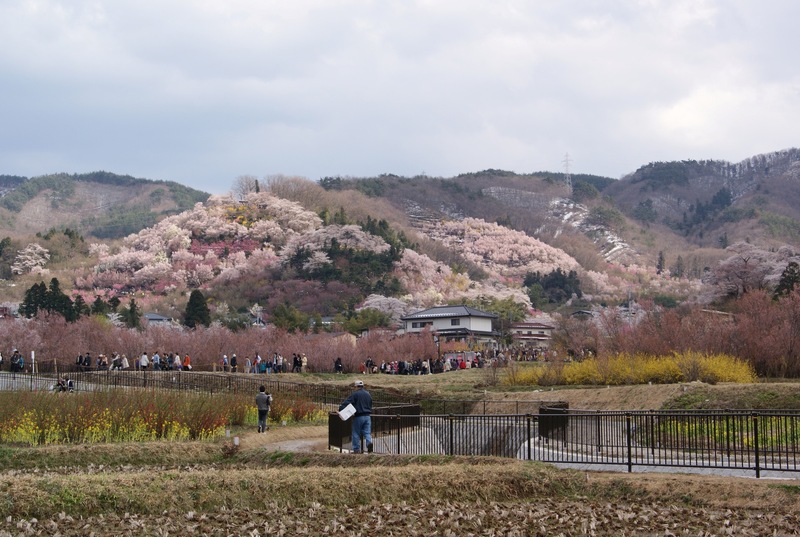 It is home to over 600 cherry trees and there is a small zoo inside the park, making it one of the most popular sakura-viewing spots in Nagano Prefecture. 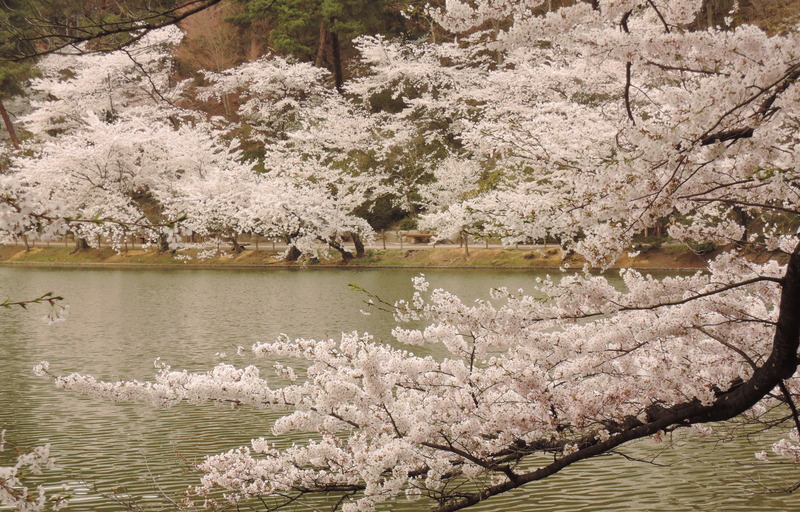 Mitsuike Park in Kanagawa prefecture is home to 1,600 cherry trees that surround three lakes. 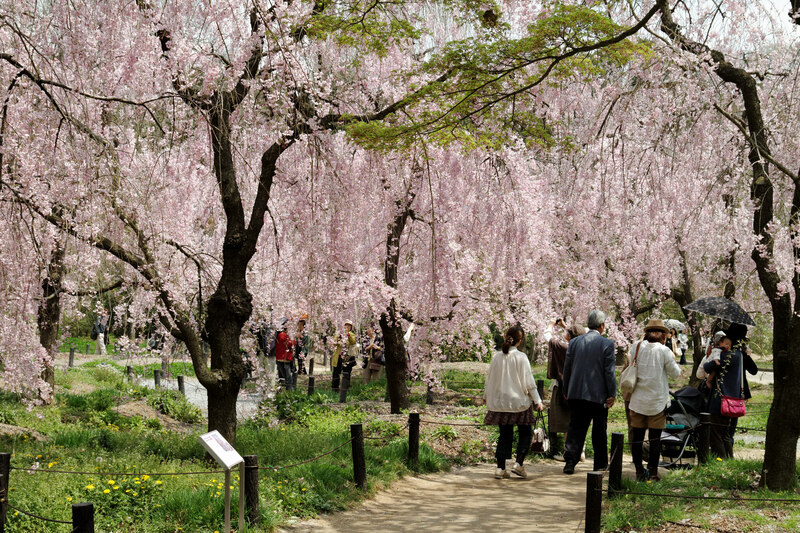 The park is included in the Sakura Meisho Hyakusen list as one of hundred best sakura spots in Japan. 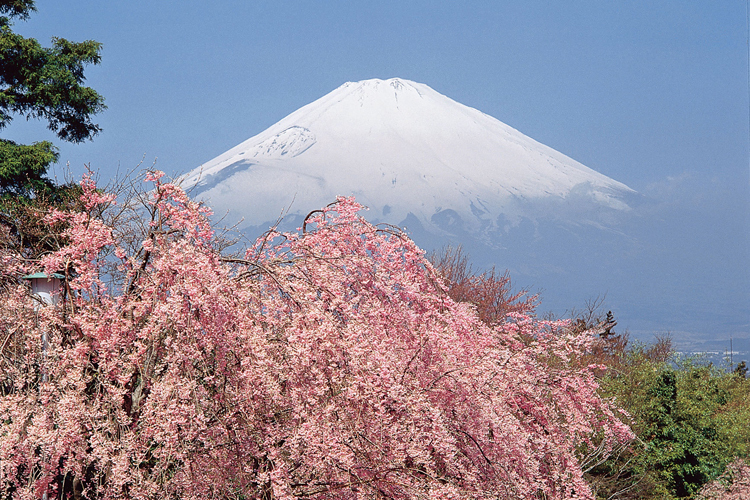 The Five Lakes region is not only a prime spot to view Mount Fuji but also a great place to catch the sakura. Lake Kawaguchi is surrounded by cherry blossom trails that continue onward to Nagasaki Park. For centuries, artists have used the view of Mount Fuji framed with cherry blossoms as inspiration for their paintings, prints and artwork. Yamazaki River, also known as “the Way of Four Seasons,” is renowned for its year-long natural beauty. In spring, it becomes especially popular as 600 cherry trees bloom along a 2.8-kilometer-long walking trail that runs beside the river. Kyoto’s Shokubutsu Garden (botanical garden) is home to 450 cherry trees. It is well known for its diverse collection of trees, and there are 130 different varieties of cherry tree in the park. Beside the cherry trees, the garden is home to some 12,000 varieties of other flowering plants. 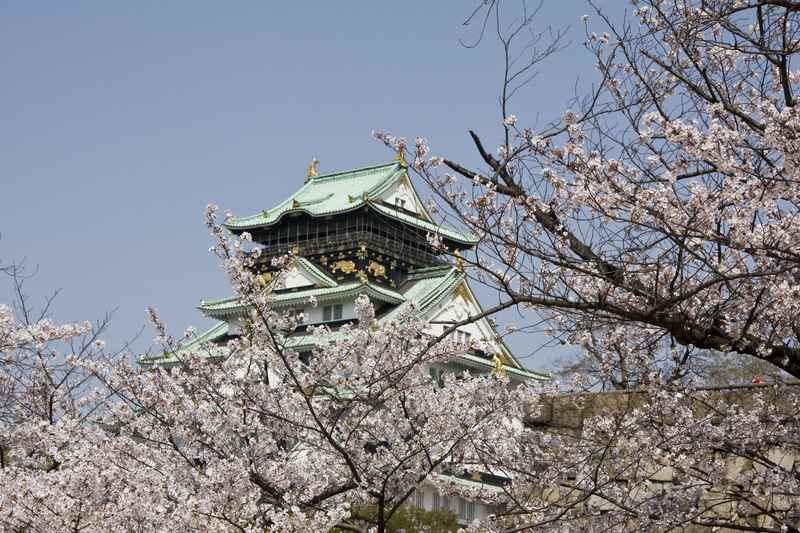 The interior of Osaka’s iconic castle is home to some 600 cherry trees, making this spot exceptionally popular. Cherry blossoms can be viewed from within the castle grounds or within the park that surrounds the castle, which contains 3,000 flowering trees in total. Designated a UNESCO World Heritage Site, Mount Yoshino has been considered one of the best locations for hanami for several centuries. 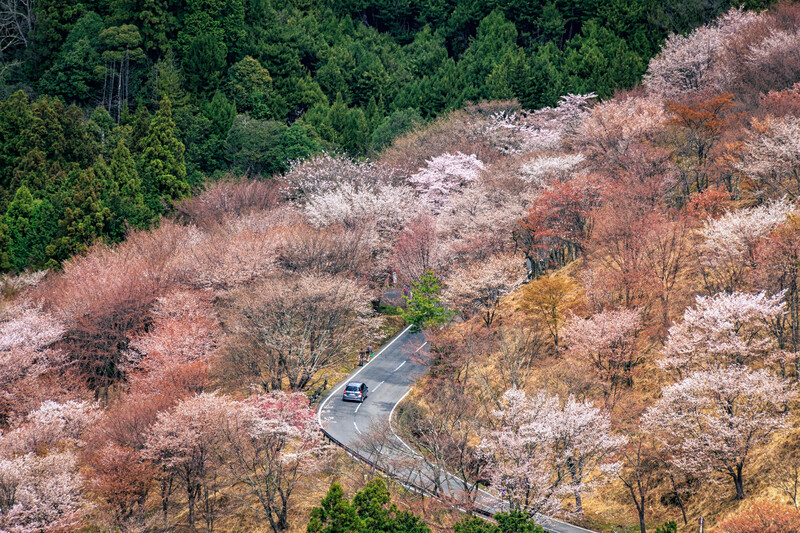 It boasts 30,000 sakura trees of different varieties spread out across 8 kilometers of paths the cross the historic mountain. 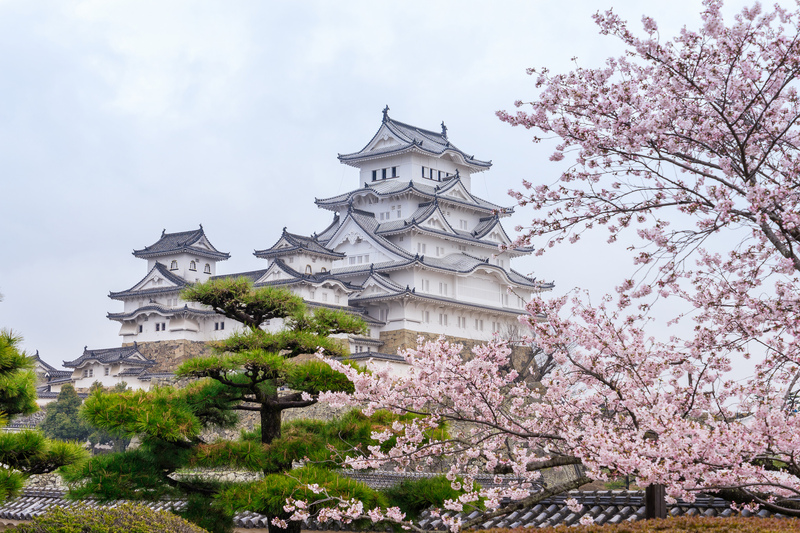 Himeji Castle, a Unesco World Heritage Site in Hyogo Prefecture is one of the most popular sakura spots in Japan. It is renowned for its nighttime illumination of the 1,000-plus cherry trees that surround the castle. Kikaku Park has a 20-meter-wide, 300-meter-long path lined with 200 cherry trees. The path leads to Usa Jingu, a well known Shinto shrine. 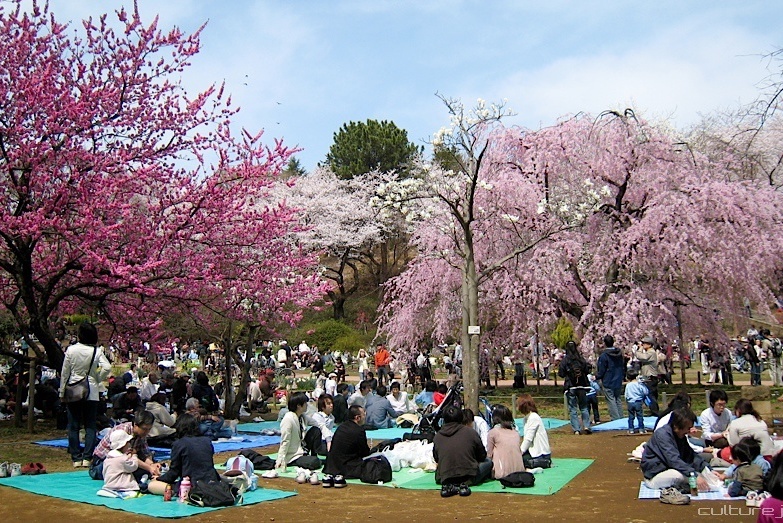 A cherry blossom festival is held in the park on April 1. 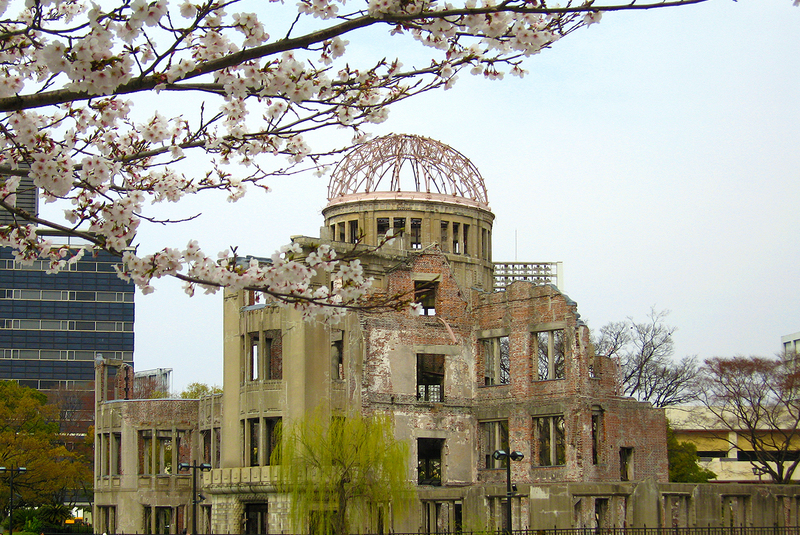 The Peace Memorial Park in Hiroshima is a popular spot for a quiet hanami. The park can be explored on foot, by car or with a river cruise. The park is home to 300 cherry trees together with roses, tulips, azaleas, and oleanders. 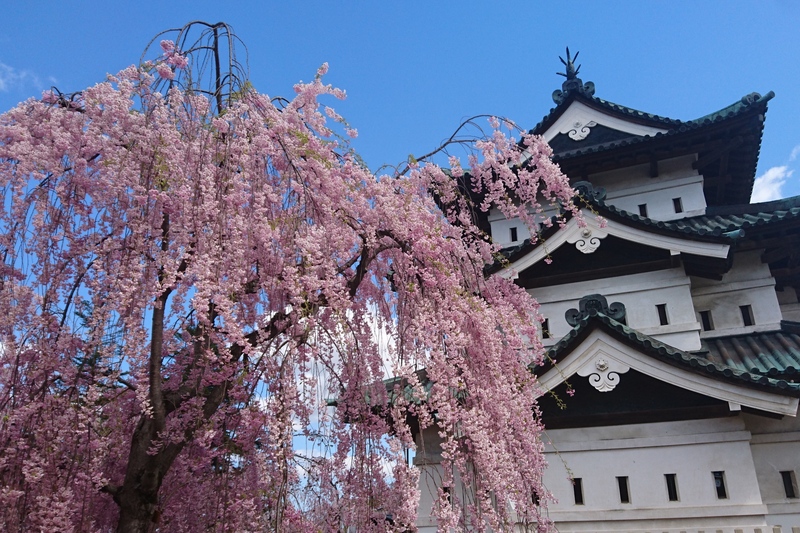 Matsuyama Castle in Ehime features in the Sakura Meisho Hyakusen list of 100 top cherry blossom spots. Located 132 meters above sea level, on top of Mount Katsu, it is best accessed via cable car. Admission: Adults, ¥510 for cable car; children, ¥310; elderly, free. 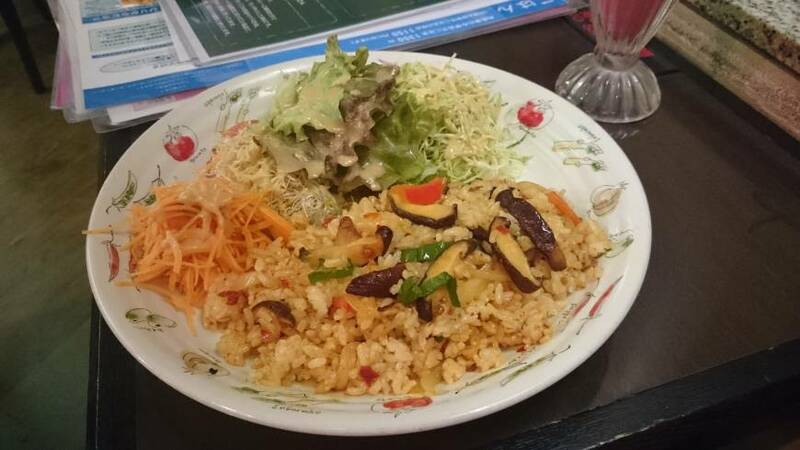 There are discounts for groups of 25-100 people. 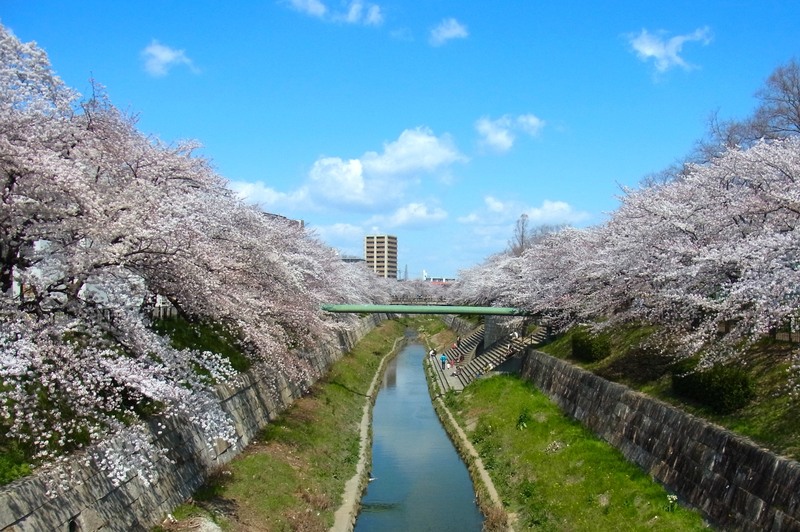 Fukuoka’s Nishi Park surrounds Terumo Shrine, and boasts 1,300 cherry trees. It is well known for its views across the city, Hakata Bay and Shikanoshima Island. The park’s cherry trees are lit up at night. 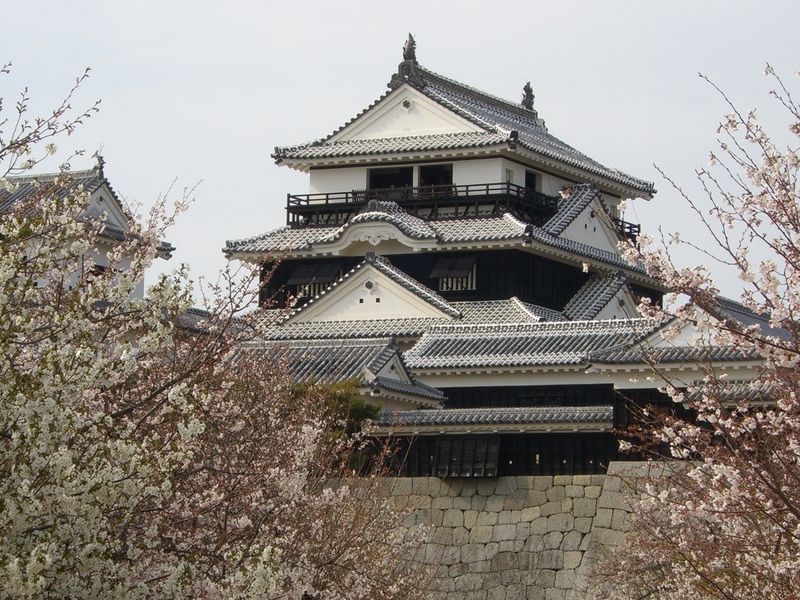 While you’re in the area, take a short walk to the ruins of Fukuoka Castle to see the sakura illuminations there. Ogi Park is one of Japan’s Rekishi Koen Hyakusen (100 historical parks). There are approximately 3000 cherry trees throughout the park, which is enjoyed for its evening light-up. Visitors can enjoy the mirrored images of the cherry blossoms reflected on the park’s lake. 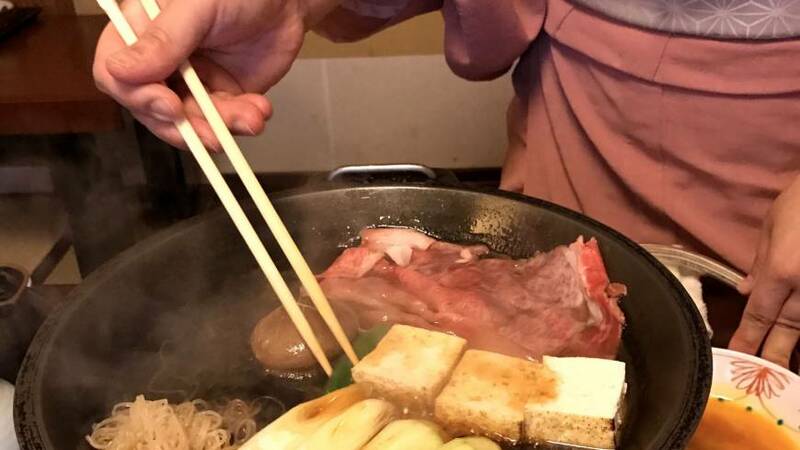 Isshingyou no Ozakura is located in Kumamoto Prefecture. At 400 years old, it is best known for its huge size. Despite the damages it took during a typhoon in 2004, it still stays strong, attracting many visitors each spring. See a previous list of prime hanami spots here.